Unity CV2GIP revolves around a one product concept – One Fan, Any Room, All Installations – and is the newest and most innovative dMEV fan to be brought to the UK Market. Designed for new build and refurbishment applications, it delivers a cutting edge performance as a result of its unique and innovative design – Unity CV2GIP is really one of a kind! Extremely quiet running – no nuisance noise!! 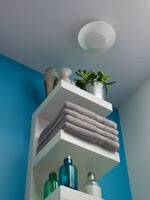 SMART Technology by Greenwood – more efficient, more effective and tangible savings! With a SFP as low as 0.16W/l/s, Unity CV2GIP achieves top of class performance for the dMEV category for SAP Appendix Q – an achievement for all installation applications. The delivery of this outstanding performance contributes to maximum rewards for DER’s in SAP and results in the lowest running costs for continuous ventilation – the equivalent to two cans of branded baked beans for the entire year! The 2010 Building Regulations now focus on installed ventilation performance meeting design criteria for the first time (GIP - Guaranteed Installed Performance). This is the first step to ventilation becoming a controlled service within a dwelling and means systems will be inspected and tested prior to sign off by Building Control. 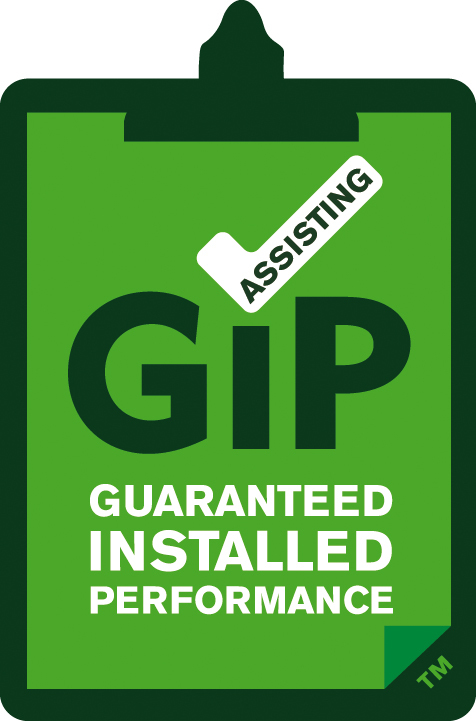 Unity CV2GIP has been designed to assist in the simple delivery of GIP onsite. It has an innovative adjustable airflow feature which allows trickle and boost speeds to be altered following testing to ensure compliance. 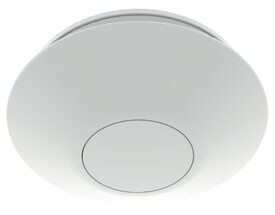 Unity CV2GIP marks the launch of SMART Technology by Greenwood – a fusion of sensors, controls and innovative design features that make ventilation work SMARTer in the home and the environment. For more information on SMART Technology used in Unity CV2GIP and how it works click here. 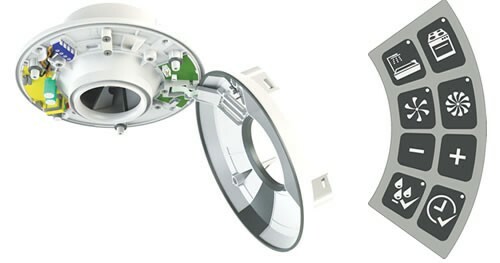 As the first manufacturer to re-think aesthetics of standard extractor fans, we have challenged convention again by launching a circular fan which blends either further with its installed environment – especially in ceilings. In all, Unity CV2GIP is ventilation that is fit for purpose and well rounded. Installers where high of the priority list when designing Unity CV2GIP – we always want our product to be easy to install, but following the introduction of onsite testing and commissioning through 2010 Building Regulations, it was crucial to keep everything fuss-free. With a patented twist lock front fascia and internal ‘stay open’ hinge with screw retention design, it means everything is always within easy reach of the installer – all aiming to reduce time, errors and annoyance typically found with some extractor fans. Download the new Unity CV2GIP literature for the full details on this innovative new product from Greenwood Airvac.